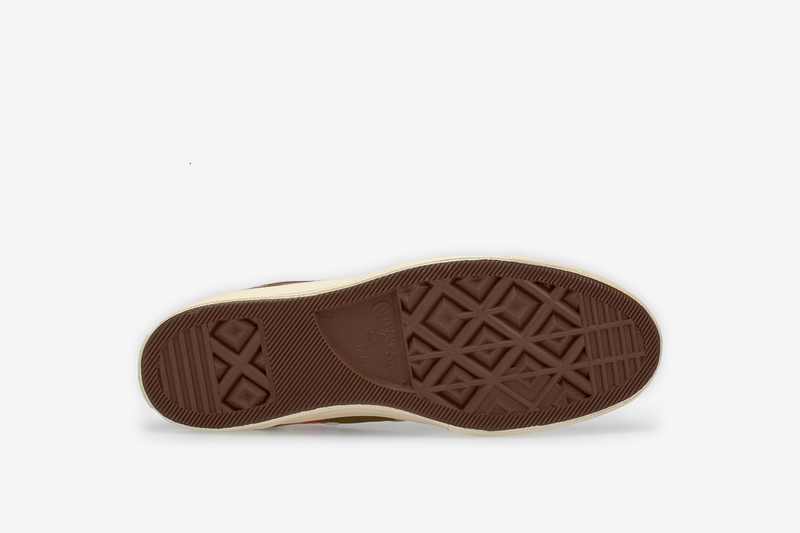 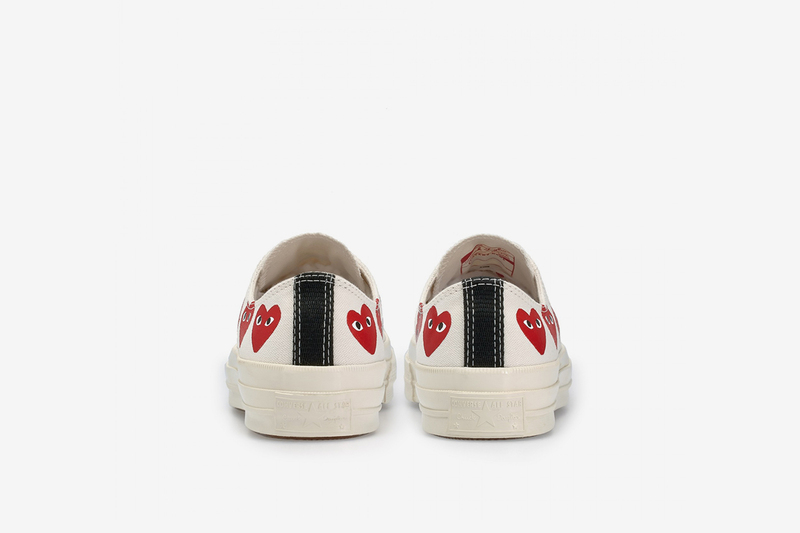 Key Features: Premium canvas constructions, shiny silver eyelets, and full-length rubber tooling house CdG’s signature hearts logo across the heel on the high-top, and flowing across the sides and heel on the low-top. 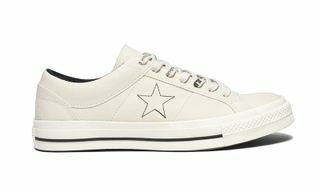 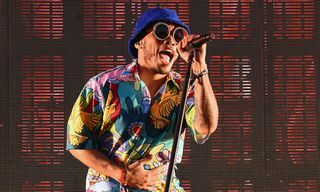 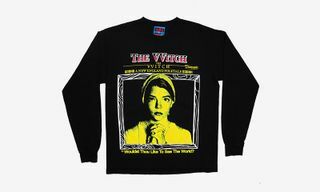 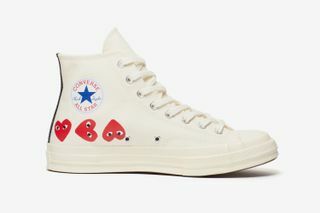 Buy: Dover Street Market New York and DSMNY online, as well as CdG Chelsea and Pocket Shop New York. 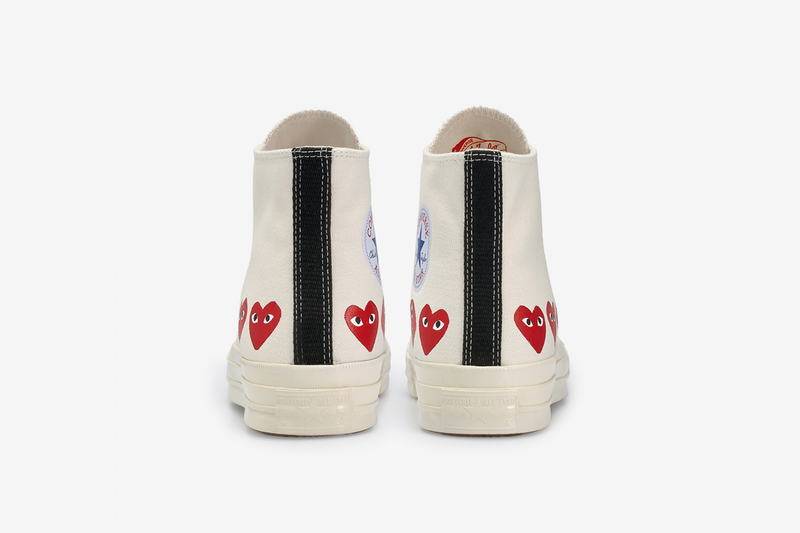 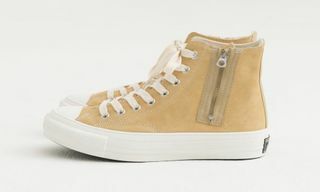 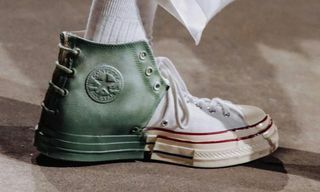 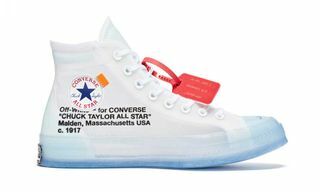 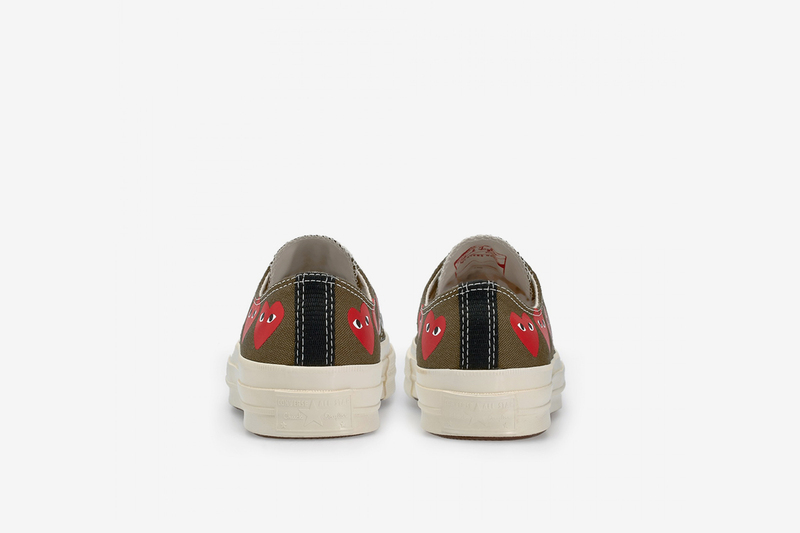 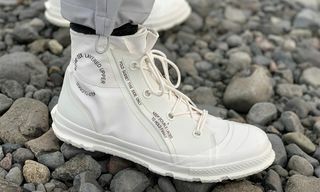 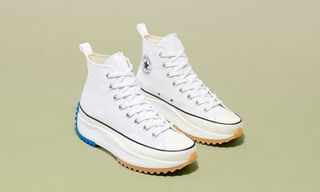 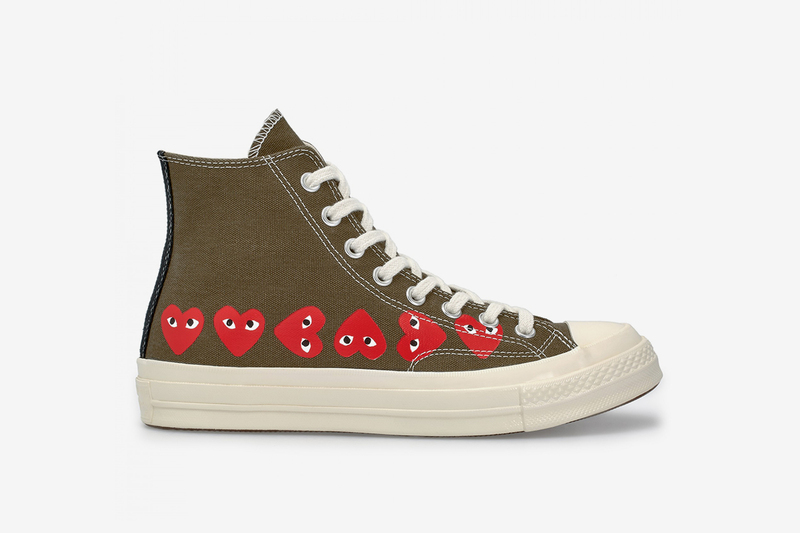 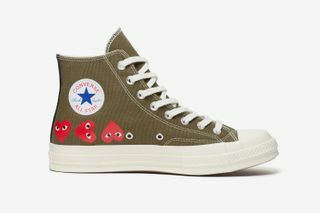 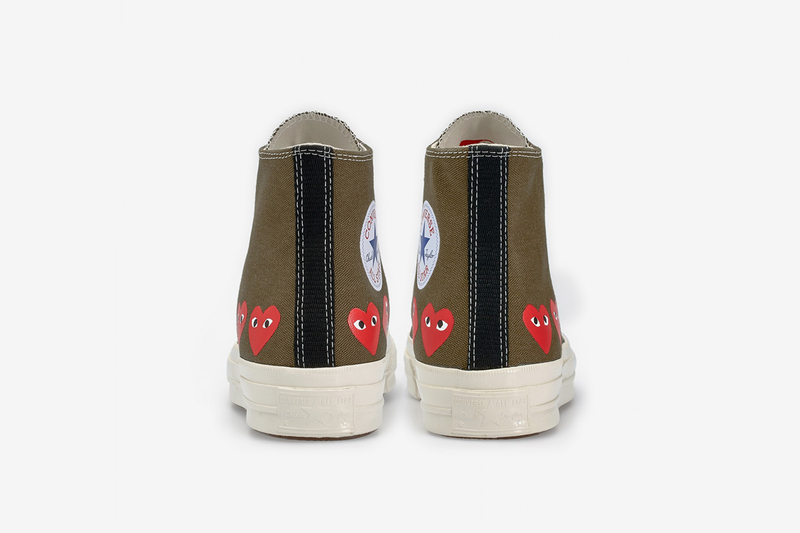 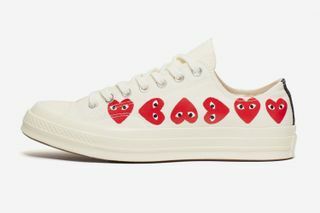 Editor’s Notes: Following a polka-dot theme, new variations of the popular COMME des GARÇONS PLAY x Converse Chuck Taylor All Star ’70 have been unveiled in khaki an white colorways, with each silhouette flaunting mini versions of the CdG Play heart logo across the upper. 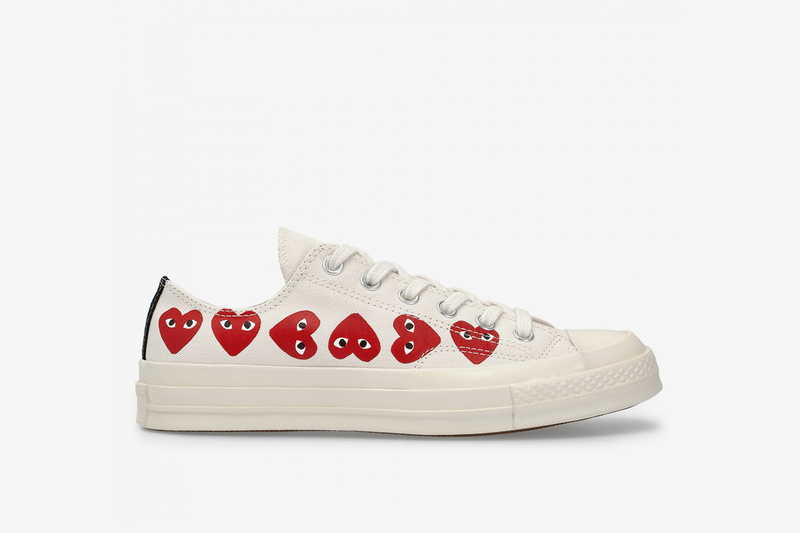 Whether you’re in the market for a high or a low top version, the CdG PLAY x Converse has got you covered, with both versions now available. 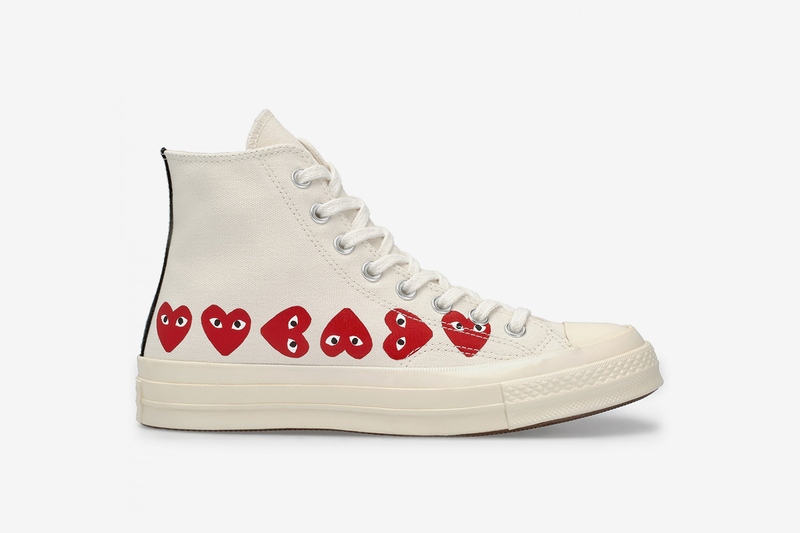 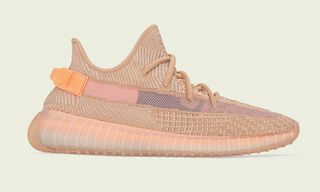 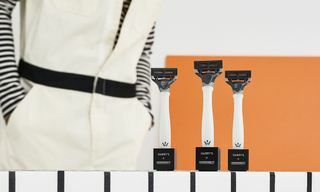 Price-points are the same across the board, with all versions retailing at $135 each. 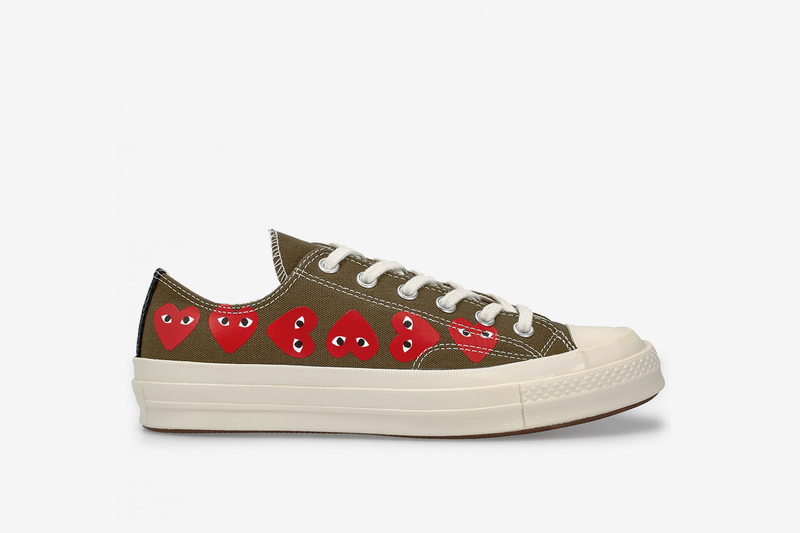 Take a closer look at the colorways below, and click through to cop a pair. 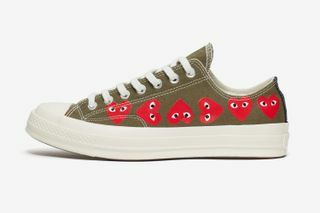 In related news, COMME des GARÇONS and Dr Martens are back with another luxe collab.